Known for their striking full-body tattoos and severed fingertips, Japan's gangsters comprise a criminal class eighty thousand strong--more than four times the size of the American mafia. Despite their criminal nature, the yakuza are accepted by fellow Japanese to a degree guaranteed to shock most Westerners. Yakuza is the first book to reveal the extraordinary reach of Japan's Mafia. Originally published in 1986, it was so controversial in Japan that it could not be published there for five years. 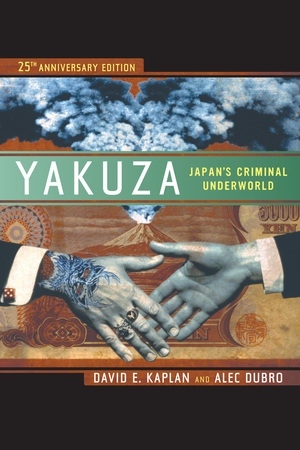 But in the west it has long served as the standard reference on Japanese organized crime and has inspired novels, screenplays, and criminal investigations. This twenty-fifth anniversary edition tells the full story or Japan's remarkable crime syndicates, from their feudal start as bands of medieval outlaws to their emergence as billion-dollar investors in real estate, big business, art, and more.